It is a very cold and windy day here today so it is a perfect day for sewing and indoor activities. 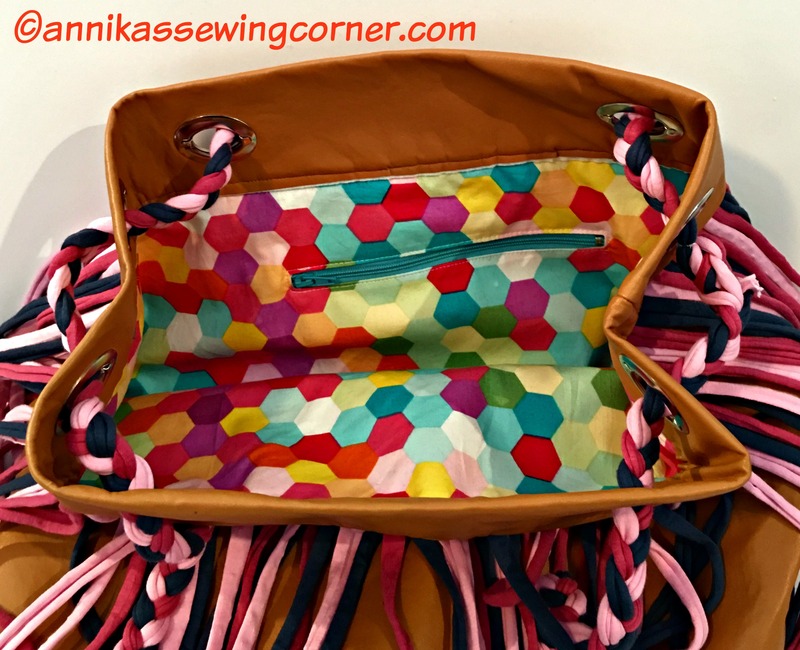 One of my girls wanted me to make The Szoke Bag by Andreia Salgueiro. We found the pattern online earlier this year on the Petit a Petit + Family blog. I made the bag a bit bigger, 14″ x 12″, and put in an inside pocket. It is made of pleather/ faux leather. I don’t really like the colour but my daughter do. The lining is a bright coloured cotton fabric and I made a simple zippered pocket. 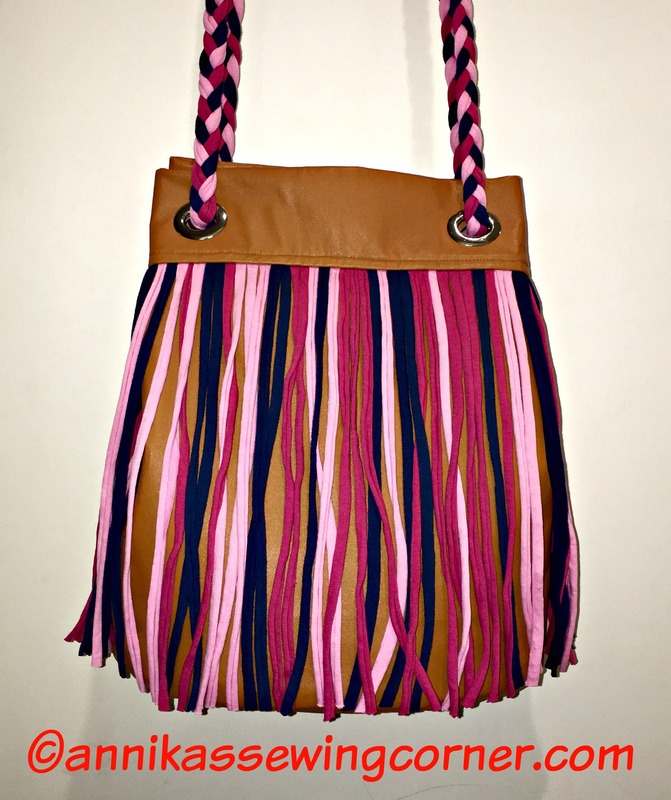 The fringe and strap is made of t-shirt yarn. 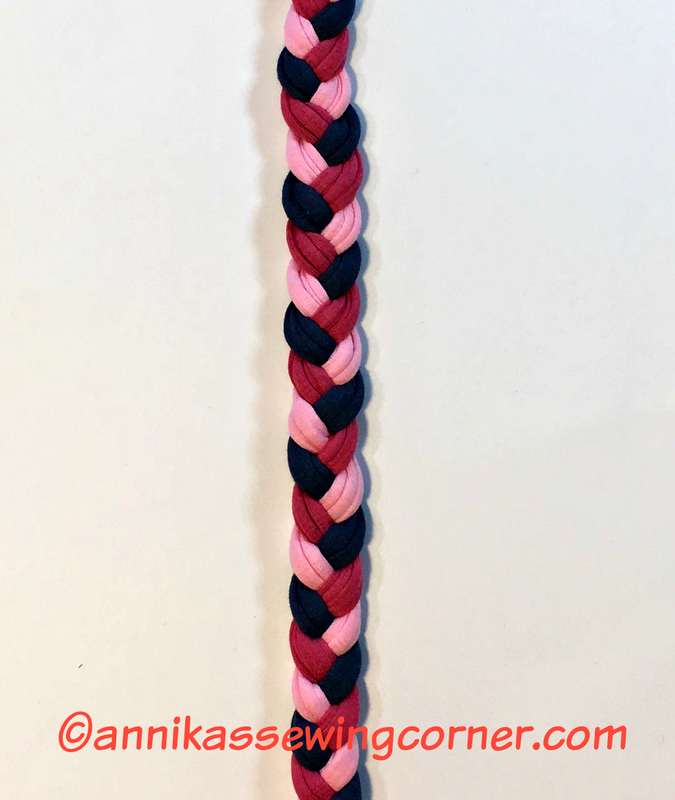 I used 2 strands of each colour to make the strap. It was a fun bag to make, a bit different to what I usually sew. Also this week I tidied up and organized my sewing space. There is a lot of fabrics and fabric scraps. 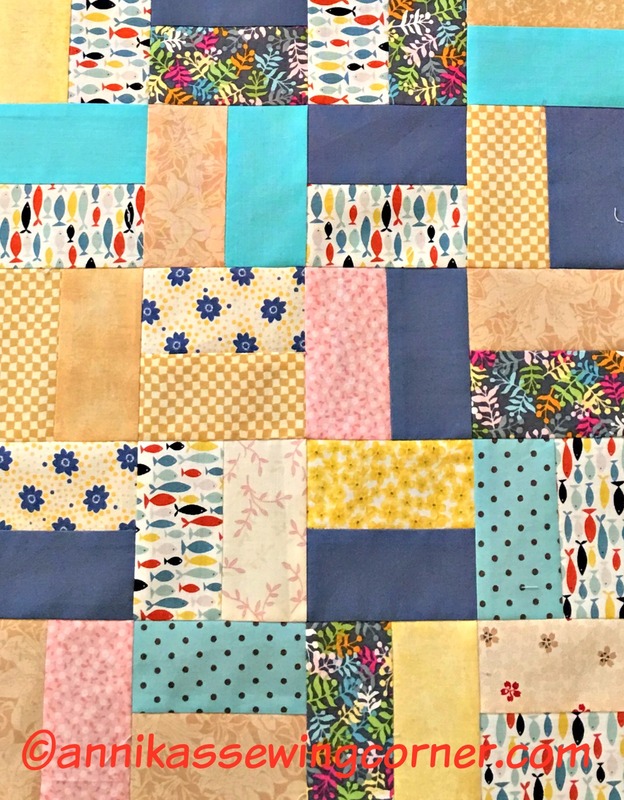 I really like the look of scrap projects so I cut my smallest bag of scraps in to 2″ x 3 1/2″ pieces. I am working on a couple of projects that I will show you in a later blog post. More Fabric Scraps and a New Basket! !